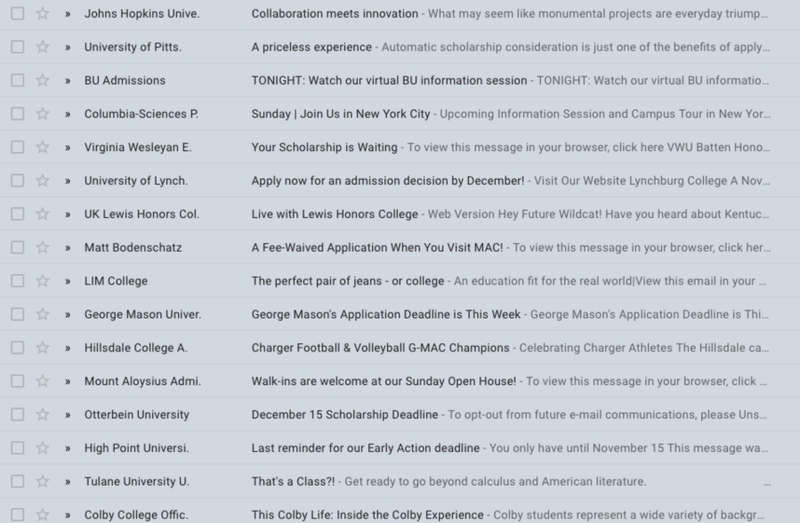 College Mail: Irritating or Important? Students who have taken College Board tests can allow for their information to be distributed to colleges. This enables prospective colleges to send out recruitment emails. 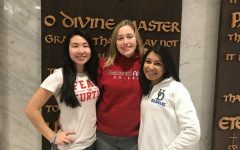 Bridget Bellew, a senior, estimates she receives over 20 college-related emails a day, many of which come from schools she has no interest in applying to. Her inbox is too cluttered to clean out anymore, she said. Bellew is one of many high school seniors who complain about the recruitment tactics of colleges aiming to get more applicants. “I feel like they want people to apply just so they can reject you so it makes them look better,” she said. “I’ve gotten so many emails that they’re really the only thing in my inbox at this point,” said senior Olivia Lundstrom. Lundstrom is hoping to go to a college with a welcoming, friendly atmosphere that offers many opportunities. The college advertisements she receives often boast of these features, but have not affected her list of schools to which she is applying. Sikorski deletes the college emails she receives, and finds she is less likely to look into colleges that email often. When students take the PSAT and SAT, they can check a box allowing colleges to contact them by their email address, provided by the College Board. This is how colleges such as Washington College got Sikorski’s email. Some students feel that they get college mail without having expressed interest in the institution. According to Miller, only students that have exercised some form of interest receive recruitment mail. According to The Harvard Crimson, Harvard’s 2018 admissions rate was 5.9 percent. Harvard sends out mail to students across the country every year with no intention of admitting the majority of them.